Is Amazon’s Prime (free shipping) service worth it? Or are we getting ripped off? I love coupons, loyalty programs and anything that gets me a deal. So, I thought Amazon Prime, whereby I get free shipping for paying a flat annual fee, was a good deal for me, since I buy so much from the company. Hence the reason I thought this article was interesting (by the way, I’ll stick with Amazon Prime for now). I’m a member of Amazon Prime, and I can’t help congratulating myself. Though I should know better, I persist in believing that Amazon Prime, a program that for an annual fee gets me “free” two-day shipping on purchases from Amazon, is something I’ve been tapped for — like Skull and Bones. Sure, I know that Amazon flogs Amazon Prime on every Web street corner, and if you shop even once at the nation’s largest online retailer you practically have to fight not to join up, which is to say, to pay the 79 bucks that make you a member. But on most days I’m so delighted by the warm welcome the site gives me, the exciting word “free” — it never gets old — and Amazon Prime’s many right-this-way-madams that I let myself believe I’m just better and wiser than other Amazon shoppers. With the double-consciousness of the recreational shopper, who knows the clerks are on commission but still craves their solicitousness, I refuse to even entertain the idea I’m being suckered. So it wasn’t easy to suppress despair the other night when someone casually mentioned that there might be something . . . a little . . . chumpy about Amazon Prime. He wasn’t even talking about the auto-renewal, though it’s true Amazon doesn’t exactly grab you by the lapels to warn you that your card has been charged again, or about Amazon’s new program to draw students in by waiving the Prime membership fee for the first year. He hinted at something more sinister. There have apparently been allegations that Amazon has dabbled in differential pricing. To spell it out, though it pains me: Amazon has in the past charged certain customers higher prices than others. I write this with an existential shudder. How and how much you spend is important on the Web, even constitutive of character; any halfway-engaged shopper wants to, to put it crudely, win at it. And I thought I was winning. Clearly, I would find preferential pricing dandy if I were being preferred. But at the first suggestion that the house might profit off me, too (in spite of this free Champagne from the casino? No way! ), I get scared. We online shoppers take pride in being shrewd; the old model of American shoppers as seekers of status has been supplanted by a model of shoppers who acquire things almost incidentally to consuming information about them. Conducting research into the top-ranked thing for the best price has become the whole shopping game. When a purchase arrives, it can seem like an afterthought, a prize for being such an astute scholar of prices, such a conscientious, close reader of reviews. I shop at Amazon now for what can fairly be described as “everything.” So it hurts to think that what I believed was a canny move may have marked me as a fish at the Internet poker table. In 2000, Amazon did cop to trying differential pricing. 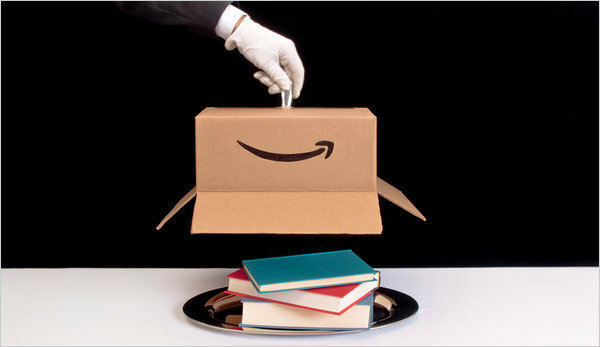 Amazon’s C.E.O., Jeffrey P. Bezos, said the experiment was “a mistake.” Then in 2008, in response to a request from Eszter Hargittai, of the academic blog Crooked Timber, a spokeswoman for Amazon commented on conflicting screen grabs from two Amazon accounts — one showing an item for $17.13, the other showing the same item from a different vendor for $14.14. It seems that the second item, which was sold through Amazon by an independent vendor that did its own warehousing and fulfillment, was not in fact among the site’s many items eligible for Amazon Prime. The lower price, which was indeed seen by some people, required that the buyer pay some $3 in shipping that would make up the difference. This raised the possibility that sometimes getting an item to qualify for free shipping with Amazon Prime might just mean wrapping the shipping costs into the purchase price. I myself checked 25 prices of eligible items from a Prime account against the prices of the same items from a non-Prime account, and they were identical.